View draft agenda here - PDF (subject to change). R.S.V.P. no later than Monday, September 25th, 2017: bac.contactevenements-eventscontact.lac@canada.ca by providing your name and the name of your organization. Please join us for a day of stimulating discussion and presentations in celebration of International Right to Know Week. This event is open to the public and is co-hosted by Dalhousie University Libraries and the School of Information Management; and, Library and Archives Canada. This day will feature a Keynote Address from Catherine Tully, Information and Privacy Commissioner for Nova Scotia, and a panel discussion on Managing Privacy in the 21st Century. It will showcase student research from the Dalhousie School of Information Management, as well as presentations on digital forensics and data management. The event is free. Space is limited. Please RSVP in advance to confirm your attendance. Please note there will be no web broadcasting of this event. Presentations will be in English only and questions in either language will be facilitated. PowerPoints will be made available in English and French. Co-sponsored by Dalhousie Libraries, the School of Information Management and the Faculty of Arts & Social Sciences. Part of International Open Access Week. Abstract: This talk will set the current state of open access in scholarly publishing within a larger history of access to learning that reaches back to the medieval period in the West. It will consider the role of the intellectual properties of learning played in the rise of both the university and modern copyright law. This history suggests a number of principles that might be kept in mind when considering today's various initiatives for pursuing universal open access to research and scholarship, now that such access is being increasingly accepted as the longterm goal for scholarly publishing. 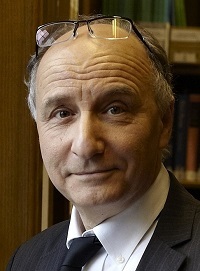 Biography: John Willinsky holds a PhD from Dalhousie University and is Khosla Family Professor of Education at Stanford University, as well as Professor (Part-Time) of Publishing Studies at Simon Fraser University. He directs the Public Knowledge Project, which develops open source scholarly publishing software and his forthcoming book is entitled The Intellectual Properties of Learning: A Prehistory from Saint Jerome to John Locke (University of Chicago Press). A public lecture by a candidate for the position of Lecturer, Assistant Professor or Associate Professor in the School of Information Management. Abstract: Research and design of information systems in LIS has endeavoured to investigate human group tasks and the role of creativity. The current study builds on the premise behind Computer Supported Collaborative Work (CSCW), which is a design field aimed to facilitate group work through the application of computer technologies, driven by ever-changing contextual and environmental constraints. Using field observation, and a systematic quantification of the content of group conversation, the study formulates a description of the creative work of musicians, and the use of group management and affective dialogue during collaboration, with the goal of informing design. Results of the quantitative findings are presented with implications for future research. Abstract: Data Analytics (DA) has been blamed for contributing to discriminatory managerial decisions in organizations. To date, most studies have focused on the technical antecedents of such discriminations. As a result, little is known about how to ameliorate the problem by focusing on the human aspects of decision making when using DA in organizational settings. This study represents an effort to address this gap. Drawing on the cognitive elaboration model of ethical decision-making, construal level theory, and the literature on moral intensity, this study investigates how the availability and the design of demographic transparency (a form of decisional guidance) can lower DA users’ likelihood of agreement with discriminatory recommendations of DA tools. In addition, this study examines the role of user’s mindfulness and organizational ethical culture on this process. This paper outlines the experimental methodology employed to empirically validate the proposed model and hypotheses and delineates contributions to theory and practice. Abstract: As user-generated content becomes an increasingly important source of data for organizations, a pressing question is how to ensure that information contributed by ordinary people – the crowd - is of sufficient quality to be useful for both known and unanticipated purposes. In this paper, we examine the impact of class-based versus instance-based information management on key dimensions of information quality in crowdsourcing. We present 8 studies, including 6 experiments (laboratory, and field) and two studies with experts and machines - all in the Atlantic Canadian context. We conclude by discussing the implications of our research for theory and practice. RSVP here by February 26th. Light refreshments will be served. Abstract: When I arrived at LAC in June 2014, I shared my vision of the institution’s future with employees and with national and international partners. That vision was embodied in four simple—some might say simplistic—commitments, which I reiterated at every possible opportunity during my first few months. LAC should be dedicated to serving its clients, be at the leading edge of library and archival sciences, be engaged with networks, and have greater public visibility. Like characters in a novel whose actions surprise their author, these four commitments have taken on a life of their own and they have led us along some unexpected paths. I propose to explore the trials and tribulations of this vision, by discussing the initiatives launched over the past three years, as well as the management principles—or lack thereof—that underpinned those initiatives. Biography: Dr. 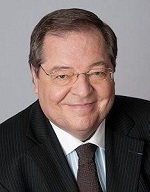 Guy Berthiaume assumed the position of Librarian and Archivist of Canada on June 23, 2014. Prior to joining Library and Archives Canada, he was the Chair and Chief Executive Officer of the Bibliothèque et Archives nationales du Québec between 2009 and 2014, following a 30‑year career in academia. Dr. Berthiaume holds a Doctorate in History. In addition to serving as a professor of Ancient History at the Université du Québec à Montréal (UQAM), he held administrative positions focusing on research and university development. Previous roles include Vice-President, Development and Public Affairs, Université de Montréal, and Vice-President, Research and Creation, UQAM. (Fr) M. Guy Berthiaume est bibliothécaire et archiviste du Canada depuis le 23 juin 2014. Avant son arrivée à Bibliothèque et Archives Canada, monsieur Berthiaume a été président-directeur général de Bibliothèque et Archives nationales du Québec de 2009 à 2014, après avoir fait carrière dans le monde universitaire pendant plus de 30 ans. En plus d’avoir été professeur d’histoire ancienne à l’Université du Québec à Montréal (UQAM), il a œuvré dans les domaines de l’administration de la recherche et du développement universitaire. Il a notamment été vice-recteur au développement et aux relations publiques à l’Université de Montréal et vice-recteur à la recherche et à la création à l’UQAM. 2. Presentation of the Dalhousie-Horrocks National Leadership Award to MLIS student, Becky Shaw. Abstract: Human geographers, environmental psychologists, and philosophers talk about the relationship between place and identity as creating place attachment, or ‘sense of place,’ through experience. However, our experiences are increasingly mediated, and the effects of media on Real World places, including those of fantasy film and literature, are not well understood. In preparation for proposed IDPhD research entitled “Middle-earth on earth: how and why people use fantasy film and literature to give meaning to Real World places” Jennifer Grek Martin has reviewed the scientific literature in cognitive and environmental psychology to understand how people recall, imagine, and understand place in fictional narratives and the Real World. This public lecture will focus on three relationships: memory, imagination, and place, media tourism and our “need to be there”, and the importance of mundane places to identity. Biography: Jennifer Grek Martin is a Lecturer at the School of Information Management at Dalhousie University, Nova Scotia, Canada, where she teaches courses in Geospatial Information Management, Research Methods and History of the Book. 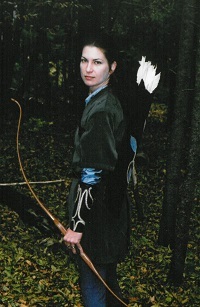 She is pursuing an Interdisciplinary PhD on how people use fantasy film and literature to give meaning to places in the Real World.